ILX Group announced that it has won a major global contract to help KCA DEUTAG, a major international drilling contractor, to deliver project management training across 22 countries. 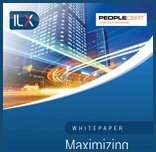 ILX will host a secure e-learning platform to deliver both the APM Introductory Certificate in Project Management and PRINCE2® Foundation and Practitioner courses to remote geographic locations such as the arctic conditions in Siberia and Kazakhstan and offices based in the deserts of the Middle East and North Africa. KCA DEUTAG is one of the world's largest international drilling and engineering contractors working onshore and offshore with a focus on safety, quality and operational performance. KCA DEUTAG employs about 8,000 people and operates worldwide. The company has a history of over 100 years of drilling and engineering activities across the globe, and undertakes projects in some of the most harsh and demanding environments in the world, the Middle East and North Africa, West Africa, Siberia and Kazakhstan, and the challenging offshore conditions in the North Sea and offshore Sakhalin Island, far Eastern Russia. KCA DEUTAG has ambitious growth plans in 2010 and believes Best Practice Project Management skills provide a critical link to ensuring business success. "Our staff often work on 28-day or 35-day rotation, either on a rig or in a remote geographic location which makes traditional classroom training unworkable. Very few people within our organisation were formally trained as project managers and many learnt their key skills whilst on the job so we took the decision to invest in helping individuals gain formalised best practices through an introductory APM Certificate and the PRINCE2 Foundation and Practitioner. Our philosophy is very much geared towards continuous improvement and excellence in project management. We believe that by deploying world class training to our remote workforce in a flexible and cost-efficient manner we will ensure consistency in our quality of work and ensure that all members undertake best practice methods in whatever they do. KCA DEUTAG has a commitment to investing in our greatest asset - namely our employees - and we are confident this approach will help us meet our ambitious business objectives." In any one year, KCA DEUTAG has a number of on-going rig maintenance projects, upgrading and modification projects and expansion into new regions. This includes the expansion of the rig fleet by six new-build rigs - each a significant project in itself. Amidst its ambitious growth plans in 2010, KCA DEUTAG is also embracing a number of change management programmes within the organisation which will involve a number of geographically dispersed stakeholders and project managers within Human Resources, IT and Finance departments. The new online courses are available to all senior or supervisory managers who are currently managing projects or are likely to do so. "We selected ILX for two key reasons. First their ability to deliver the APM certificate and PRINCE2 Foundation and Practitioner courses in e-learning format with materials that were well presented and easily understood by everyone. Second, ILX's easy user interface encourages people to use the web-hosted training. In fact, we ran an initial test across some of our remote bases and found that individuals wanted to start the course immediately. In just one month of launching the programme, over 240 people registered and started the online courses and we are expecting this number to further increase during the course of this year. PRINCE2 provides a consistent framework around which KCA DEUTAG will initiate, execute and complete projects throughout its global business - the KCA DEUTAG way." "We are delighted to be supporting KCA DEUTAG in delivering fast and flexible project management training. This specific programme illustrates how e-learning can be rapidly rolled out to a geographically dispersed team without negatively impacting productivity. Experience has shown us that e-learning also fits with employees' interest levels and attention spans. Bite-sized modules will also make the process easier for users to access the specific elements of the training when they need it. The appetite for e-learning and multimedia is here - it is therefore now up to Learning and Development professionals to put the right strategies in place and to maximise new learning tools."